Nitin is a forward-thinking, business-minded executive with rich experience as a leader, strategist, and innovatorentrenched in the design and development of enterprise infrastructures and applications — including leadingedgemiddleware and mobility solutions for Fortune 500 companies in 20+ countries. Tenacious and customerfocused, Nitin is renown for his ability to analyse opportunities, anticipate trends, and create technologies thatalign with operational needs, catapult profitability, and dramatically improve the end-customer experience. Design "blockchain for enterprise" solutions for large customers in regulated industries by working withvarious entities such as IBM research, large financial services industry clients, regulators and startupcommunity. The goal was to address the fragmented blockchain landscape with existing application andtransaction infrastructure. 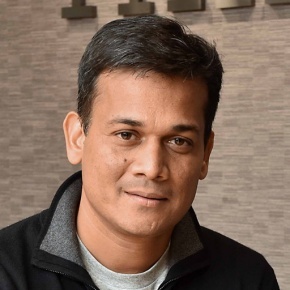 Prior to his current role, Nitin served as the CTO for IBM's Mobile Payments solutions and IBM Bluemix and leadour Mobile Solutions and Application Infrastructure Portfolio (WebSphere).In his 16 years with IBM he has achieved various industry-recognized certifications, which keeps him in constantdemand for technical paper presentations at internal and external conferences. The range of the topicspresented by him span from software architectures to improvement of management processes. Nitin, has beenfocused on staying close to customers and providing IBM clients with solutions to realise their digital strategythrough the adoption of our Hybrid Cloud Platform (IBM Bluemix) and our Mobile Solution (IBM MobileFirst)Portfolio.